All of these Great Original Albums are in Mint or near Mint condition (both cover and record) most of them still have the shrinkwrap on. Don't miss the chance to add one of these to your collection in these fantastic conditions as all records are one -offs so please order early to avoid disappoinment. Records can be order on-line, over the phone on 020 8875 1018 or collected from our shop open mon -sat 10 -7 Sun 11-5. 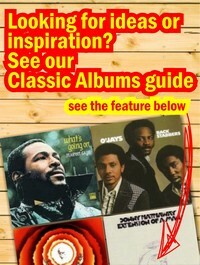 We have added approx 300 original soul funk and jazz albums which are still sealed to the site. Sealed records are becoming harder to find now and most of these titles are one-offs, so please order early to avoid disappointment. Records can be ordered on line, over the phone or collected from our shop in Putney. Click the images below to view each category. Sealed albums special – Soul! Sealed albums special – Jazz! Sealed albums special – Funk! Here are some really nice soul and funk albums that have just arrived from USA. Records are great gifts to give or receive. All these albums are in demand , in good conditions and are one-offs so please order early to avoid disappointment. Records can be ordered on line, over the phone on 020 8875 1018 or collected from our shop in Putney SW15. We have added soundclips and a few notes on each album to help you. Another selection of quality vinyl, this time we've got some great Jazz/Jazz Funk pieces plus some good soul records that we've not seen in some time. Still working on clips for some of these but many are available to preview if you don't know them. All one-offs so if you want something, get in quick!